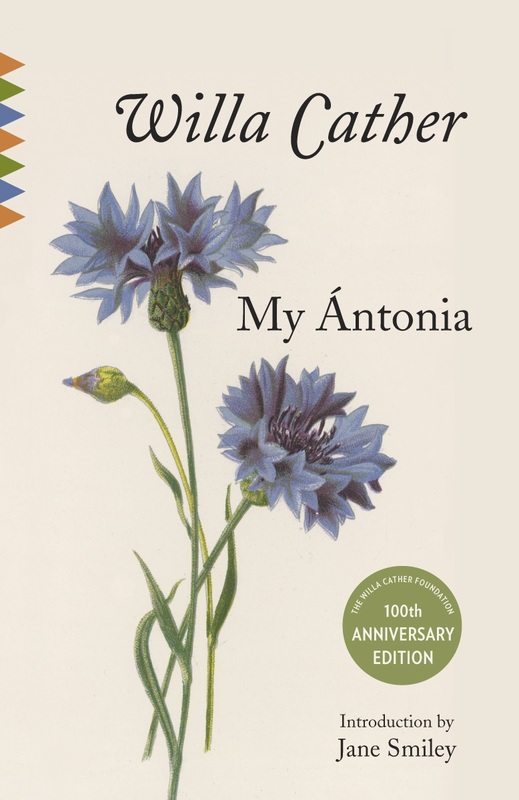 The Willa Cather Foundation is gearing up for a year-long celebration of the publication centenary of one of Cather’s most widely read novels, My Ántonia. “For many people, reading My Ántonia in high school is their first introduction to not only Willa Cather’s work, but to literature itself,” education director Tracy Tucker says. “We’d love to see people read the book again during the centenary year and explore the many ways it speaks to our lives today.” To encourage readership and dialogue surrounding the book, the Cather Foundation, the Cather Archive, and community partners will coordinate a number of events throughout 2018 to explore the novel. Cather Archive. Panel discussions, lectures, musical events, art installations and exhibits, and readings are currently planned for Virginia, Colorado, Wisconsin, and Oregon, in addition to Omaha, Lincoln, Scottsbluff, and of course Red Cloud. Details will be posted to the Willa Cather Foundation website, www.WillaCather.org and www.MA100.org as dates approach. The WCF also invites requests from educators, schools, libraries and community groups as they plan for the novel’s centenary. The Cather Foundation offers many classroom and book group resources free of charge, including copies of primary documents (photos and letters), biographical information and chronologies, slideshows, discussion questions, activities, assessments, and teaching strategies. Teachers who lack classroom sets of My Ántonia are especially encouraged to contact us. “We think every student should be reading Cather,” Tucker said, “but especially My Ántonia, and especially in 2018.” In order to see this happen, the Cather Foundation will provide, free of charge, classroom sets to school districts who may need them. We're working with closely with Vintage Books as they release a special 100th anniversary edition of the novel, featuring the W.T. Benda illustrations that appeared in the first edition and a new introduction by Jane Smiley. We've allocated funds to provide classroom sets of the anniversary edition of the novel, library copies, and new teaching unit resources to teachers and librarians who are in need of books and resources. Supplies are limited, so please make requests by December 31. The WCF also regularly provides guest lectures, Skype Q&A sessions, digital and other resources to schools and book clubs who are interested in diving deeper into the text. Requests for any teaching or programming support should be directed to Tracy Tucker via email at ttucker@willacather.org, or by phone at (402) 746-2653. Nebraska as a child and grows with the country, inspiring a childhood friend, Jim Burden, to write her life story. The novel is important both for its literary aesthetic and as a portrayal of important aspects of American social ideals and history, particularly the centrality of migration to American culture.